Red shirt “mobile rallies.” Remember those? 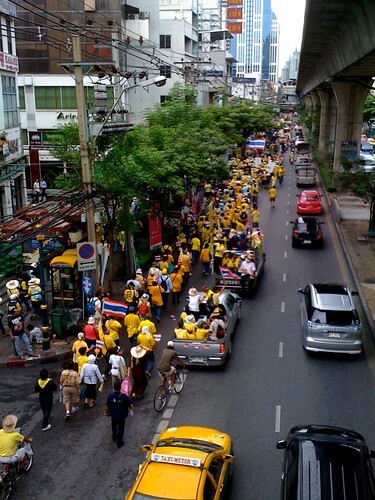 Well, today the yellow shirts, also known as the People Alliance for Democracy (PAD), took to the streets. 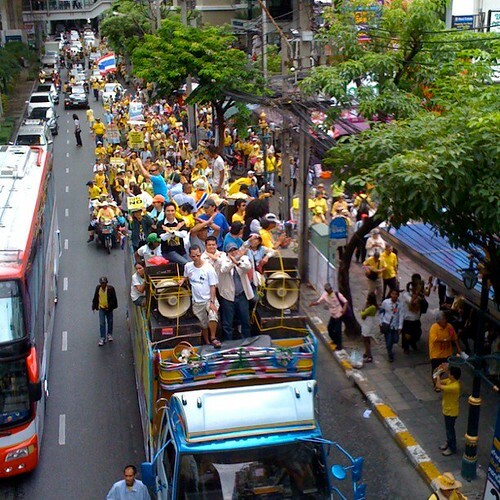 Here are a few cell phone snaps of what appeared to be the latter stages of a rally that began at the UNESCO Bangkok office and made its way down Sukhumvit Road. 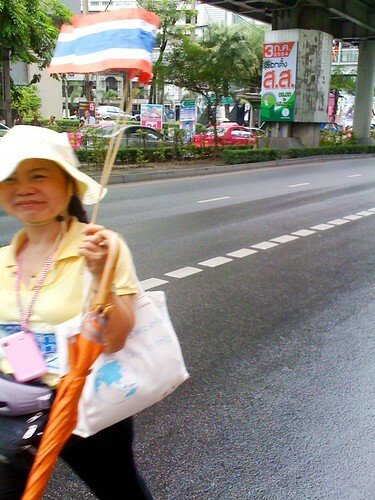 I took these images in the Asoke area around mid-day. As I tweeted, the demonstrators carried “Vote No” signs, encouraging people not to vote for anyone, since the yellows are unhappy with politicians — all of them. 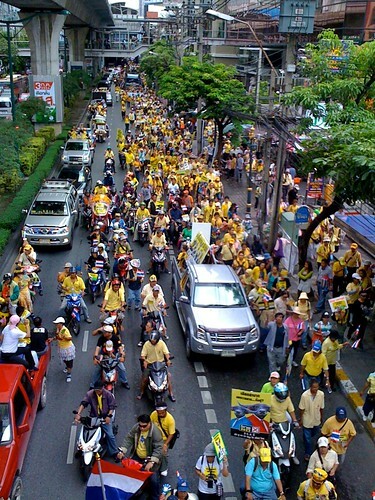 Democrats say they’ll rally at Rajaprasong on Thurs.